New SunMart Celebrate Summer Coupon Book! Look what I received in the mail a few days ago! Did anyone else get this new SunMart Celebrate Summer coupon book? 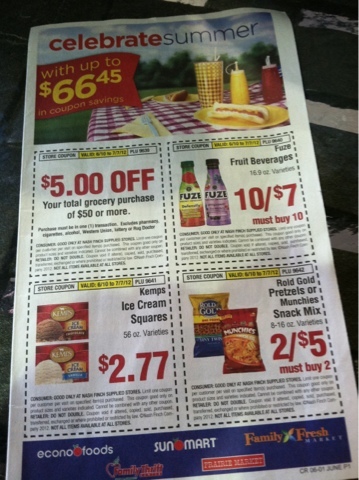 There is a $5/$50 grocery purchase coupon, plus several more SunMart store coupons valid through 7/7. 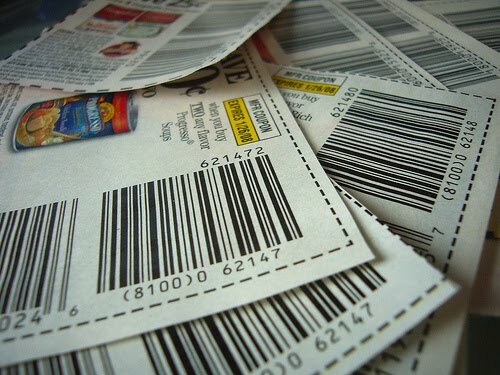 Since they are store coupons, stack them with valid manufacturer's coupons for even more savings! Look for 2 inserts in the Star Tribune this weekend! Look for a SmartSource and a Red Plum insert. I picked up my papers earlier today and all inserts were in the Saturday Star Tribune for only $1! If you can't get out today, the Sunday Star Tribune costs $2, or look for the St. Paul Pioneer Press sold in MN for only $1 on Saturday and Sunday, though the inserts can be a bit different than in the Star. Fun and Cheap Summer Fun and Father's Day Deals! If you had the radio on this morning and were suprised to hear my voice in your house or car (apparently I scared a friend that way this morning! ), yes that was me on Life 97.9 again this morning talking deals! Get the full run down here on Father's Day deals and ideas for Family Fun on the cheap this summer. What are your best tips or ideas for frugal fun in the summer months? Leave a comment to share with others! Cardstore.com: FREE Father's Day Card! Use coupon code LUVDAD2 at Cardstore.com to pick up a FREE Father's Day card, including FREE shipping! This code is valid for a limited time only, so grab yours while you can! Look for 3 inserts in the Star Tribune this weekend! Look for a SmartSource, a Red Plum and a Proctor and Gamble insert. I picked up my papers earlier today and all inserts were in the Saturday Star Tribune for only $1!